There are so many great ideas floating about the Internet sphere at the moment. Some of them are so creatively lovely: like the new trend in decorating your Christmas tree with fresh flowers - so genius! 1. 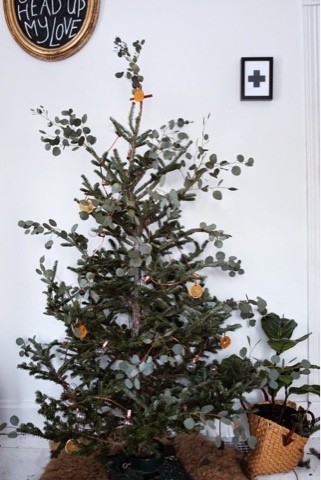 This tree decorated with eucalyptus, copper and orange slices. This would smell amazing! 2. 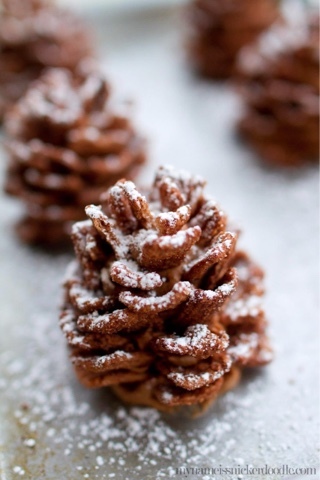 Edible chocolate pine cones. 3. 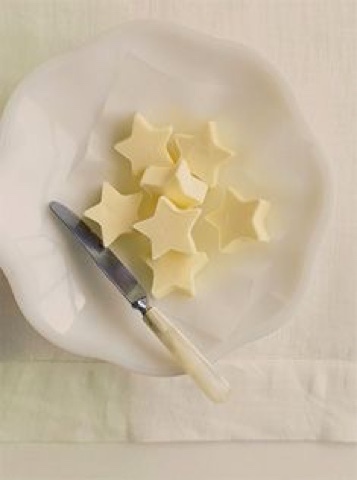 Starry butter. Easy peasy and a great idea! 4. 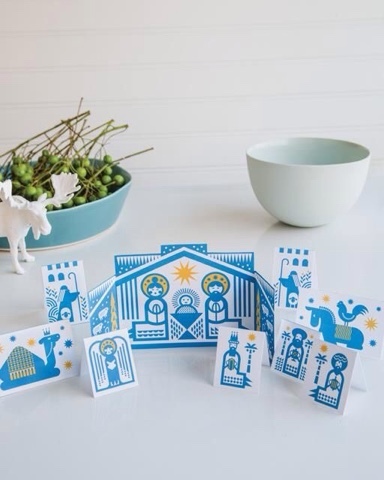 Rob Wilson free paper nativity scene PDF downloaded ad. I love all of Rob Wilson's work - what a great score - a free Christmas scene printable. 5. 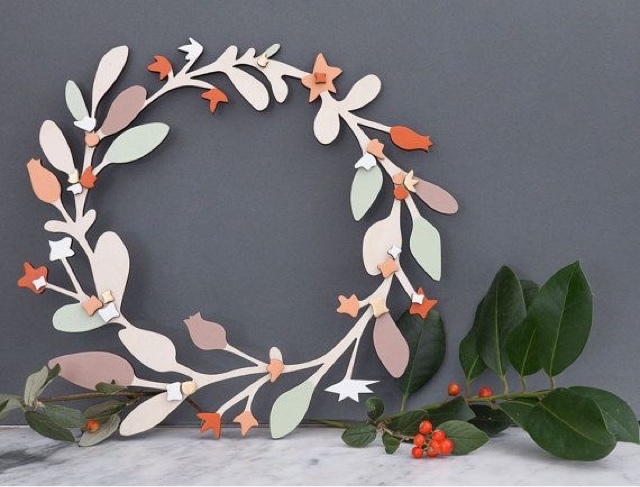 Anna Wiscombe laser cut wood wreath. A pretty, quirky front door statement to replace your usual wreath. More Holiday picks to come. Enjoy your Holiday Season!